Wide-angle shot of the middle area. RED Team's spawn building and Capture Zone. 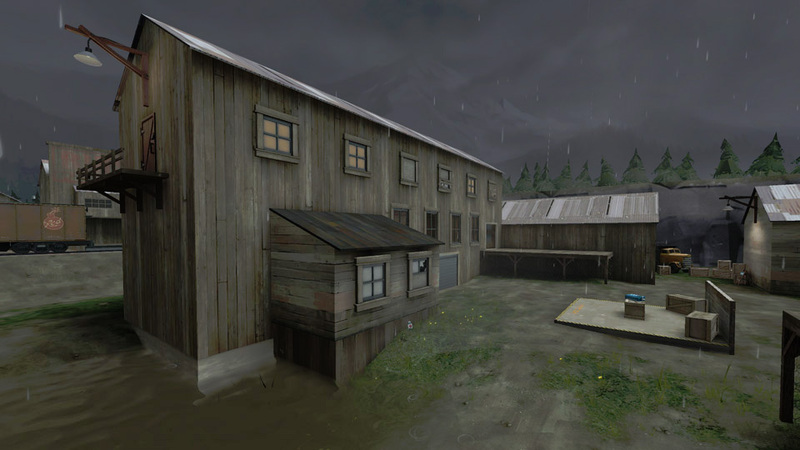 Rippleside is a Capture the Flag map for Team Fortress 2. 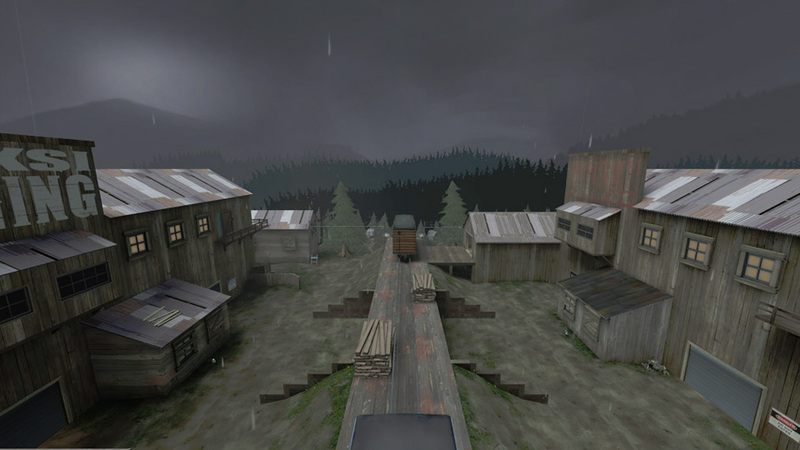 It was my first-ever level design and was entered into a TF2Maps.net contest in 2010. The brief was to create a level that was suited for Competitive 6v6 Capture the Flag, a notoriously difficult task. It had a small following in Australian servers & also in a niche 4v4 format. 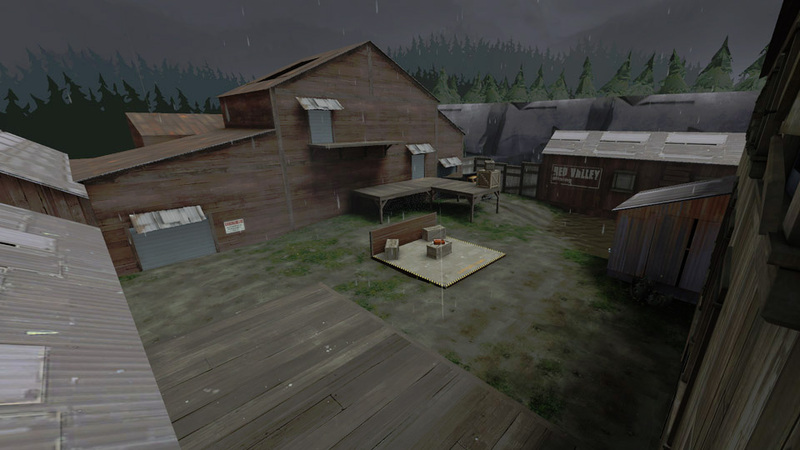 The layout was designed to be simple to navigate, similar to Turbine, the only Capture the Flag map that has successfully broken into Competitive Play. The middle area was designed to allow teams to have a forward hold of the level, with short sightlines, while still allowing the opposing team to fight back and claim the area. It was intended to solve Turbine's problems of having all three of its routes viewable from one area, with long sightlines that made snipers incredibly dominant. As it was my first map, I made a lot of rookie mistakes. The way I built the brush geometry prevented me from optimising the map reasonably well, although the final released version was substantially better, due to three complete rebuilds over approximately 12 alpha tests. It was a fantastic learning experience and I would have loved to continue working on the map to a release candidate quality, but I decided it would have been more beneficial to move onto a new project and produce something even better.